Keyword research is simple logic and clever art. The technique looks unassumingly straightforward— the keyword is somewhat related to your brand & what is the volume of searches it gets periodically. That’s where most marketers go wrong. The competition for generic keywordsis fierce. To stay ahead of the pack, you need a plan. While big keywords are easy to find, every brand is using them. Also check how to find low competition niche markets. With big brands vetting for the biggest keywords and making the most of them, your chances of even standing tall in the rankings are bleak. Bam! Exactly why you need a keyword research tool. This is where tools like Google Adwords, Moz Keyword Explorer, Long Tail Pro and others come in handy. 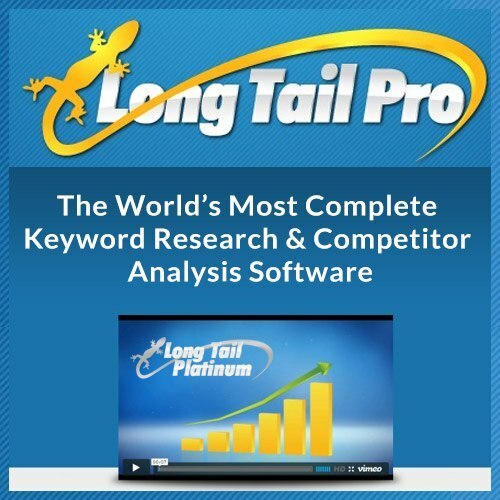 Here’s a review of Long Tail Pro for you to understand how it works. Find out if it’s worth your buck and time! Find the most profitable long tail keywords within minutes. There are a variety of metrics like domain flow, number of referring domains, trust flow, citation flow under Majestic SEO that pulled from Majestic SEO that work together to create a strong domain. More about these in reason #4. But it’s not as complicated as it sounds with Long Tail Pro. This is their strength. They have made the look out for potential keywords pretty simple. Here are a few simple steps you need to get started. Step 1: When you log in to their website, you’ll find the “Projects” section on the left side. This section has returned keywords and you can filter this by date and time. Step 2: On the next screen you choose a search engine of your choice, where you want to perform keyword research in and the language setting. Step 3: Now, you simply have to add your domain and Long Tail Pro calculates a keyword competition range for your website to target. For beginners, it works pretty well as it lets you set your own criteria of keywords on the basis of the kind of project you are looking at. For instance, you can filter the number of local search volume (maximum and minimum) from 800 to 5000. I also check Google title competition. Most keyword research tools provide incomplete results. That is, if you are a marketer, many tools do not provide you with relevant data on the keywords to use to get people to buy. They don’t tell you about the options your competitors are looking at. With Long Tail Pro, here’s the thing, they give you a set of customrecommendations on the level of difficulty you should target by adding your domain. Create Projects by filling in the name and hitting the button (Add). Now, this is something not every player is willing to offer. Select “Projects” to group different sets of keywords as per your priority to analyse them. Long Tool Pro lets you analyse keywords as used in any language or country-specific language style. This helps you enable your campaigns to be hyper-targeted. There are additional filters that you can play with while entering Seed keywords, enter your own keywords by using the Manual Entry Keyword. The tool allows you to enter 2000 keywords in one go. The tool also comes with a pre-filter setting that allows you to customize the data for all keywords in a particular set. Any industry expert will be able to tell you how reliable KC metric is. You can trust the tool completely when you are looking at keywords to target and avoid. Only recently did Long Tail Pro shift its SEO analysis metrics from Moz to KC. And we are not complaining! The major difference between the two—KC gives you far more data access. It’s actually a pretty handy feature. The KC tool gives you a proprietary mean competitiveness score related to each keyword by combining the SEO data from the Search Engines’s top 10 search results. You can now judge how much effort it will take for you to rank on the search engine for each keyword. That’s not it. LTP also provides its own data metrics. Want to know the accurate level of competition you are up against? It’s pretty cool how many metrics they use to make that kind of data available for you. Keyword Competitiveness: for competitiveness on a page for a certain search term. Domain Competitiveness: Competitiveness of any domain for a specific keyword. Trust Flow: This is to measure the quality of the links that point to a URL. Citation Flow: Assessing the level of influence of a site on the basis of the quantum of links that point to it. Page Referring Domains: unique domains that refer to a page. External Backlinks: quantum of links that point to a page. Root Referring Domains: unique domains that link to a root domain. Indexed Pages – calculates the quantum of URLs on the domain. Internal Links – These are the links present on the webpage that point to different URLs within the domain. This feature is quite impressive. The variations are many when you look at Seed keywords. There’s so much data to sift through that you can get really confused. Long Tail Pro’s filtering options have got you covered. These guys use 7 different metrics to help you sort through humongous volumes of data. You can make your filters according to Competition, Volume, Bid Amount, Word Count, Keyword competitiveness and Rank Value. And then you have options like Bulk Actions, Average Keyword Competitiveness and others to help you work on various projects and make them actionable. Enter a Domain or URL & the keywords you want to track. LTP monitors your rankings over time. Well, you want to know where your website stands in Google rankings , don’t you? This is what this tool helps you with. Enter the website’s URL, followed by the keyword in question. You will know where you stand in Google, Bing and Yahoo for that specific keyword. The filtered data can be easily exported on to a computer or uploaded to the cloud. You can even send the analyzed data to someone else. You can also calculate the traffic potential which is the total number search volumes, average keyword competition and choose a keyword set to target based on that data. This process makes it simpler for you to prioritize the keywords according to the profit they bring you. We’d say, this is where a lot of other tools score better. So, they have recently changed their model and you can’t buy the core software at a one-off. Today, they have two plans. LTP Annual Starter plan at $25/month & LTP Annual Pro Plan at $45/month. Here’s the catch—If you sign up for any typical Rank Tracking software, it will cost you up to $99 per month. With LTP, both the plans give you free access to their new Rank Tracker and access to the Long Tail University. The plans also include in-chat App support. Although the license for Long Tail Pro is for a lifetime, the KC metrics are available with the Platinum plan at $17/month. Organic Research: This you will have to give LTP. They make organic research a breeze. LTP gives you an accurate picture of competition for any keyword. On the other hand, Google Keyword Planner gives you no information about competition for organic search results. You have to check out various metrics yourself and create different accounts and find out more about it. Those results can also take a long time to come. Request Limitations: The new, web-based version of Long Tail Pro has some request limitations in its new version. This one also has a few bugs. Highlights are missing: While LTP uses a myriad of different metrics, tools like SE Cockpit also color codes the data to make it easier to understand. This feature is missing in LTP. Custom Keyword Competitiveness: This is another reason why you’ve got all the marketeers splashing their money on this one. The feature of custom keyword competitiveness guideline is updated as per your domain’s link metrics. On the flipside, most other tools give you fixed competitiveness charts. Transition: Since they have recently moved from a desktop-based tool to a web-based tool, there have been a few downgrades. The Latest version lacks interface customization. It means fewer tabs but also less clarity for those who are used to the version with various tabs. The best part—LongTailPro is developed on Adobe Air. It supports all operating systems, including Windows and Mac. You cannot work on multiple computers when you are using the system. It works on a maximum of 3 computers at a given time. Also, the fact that it asks for the Captcha Entry so frequently can be a bit annoying to work around. Full-time affiliate marketers could rely on LPT as one of the most reliable tools. Site Builders who do not want to go through the trouble of hiring someone else to get the SEO work done. This tool is a team in itself. SEO experts can benefit from the tool immensely. It does all the work for you. You can learn while you use the tool. Pro tip: Learn more about how to rank youtube videos using long tail keywords. If you are looking for something to save you time and effort, LTP is every bit worth your buck. You can spend all the saved time in creating something more for your business. The way they operate will positively yield a better ROI for you. Here’s your keyword research tool that offers accuracy, speed and convenience. This one definitely gives you an edge over the rest. The in-depth analysisoffered by LTP go a long way in creating profitable results. Ultimately, Long Tail Platinum lets you easily copy/paste up to 10,000 of your own keywords. This is a critical feature. You can find more keywords in a shorter time when you are using third-party tools like Ubersuggest. If you want a product that is Cent-percent reliable, with your eyes closed, this is the one you are looking for.